brown couch events: Lunch Punch Review & Giveaway - CLOSED! Lunch Punch Review & Giveaway - CLOSED! UPDATE: THIS GIVEAWAY IS NOW CLOSED! Congratulations to oneangel,nova,coriwestphal, mummy2jj and lace for winning! "I just wanted to say a big thank you for the lunch punch samples! We have used them often since you sent them over and my daughters have really loved the different way that their boring sandwiches have been presented. My seven year old feels very special when she can take an elephant to school and show off to her friends. We often ask her what animal she’d like for lunch!! 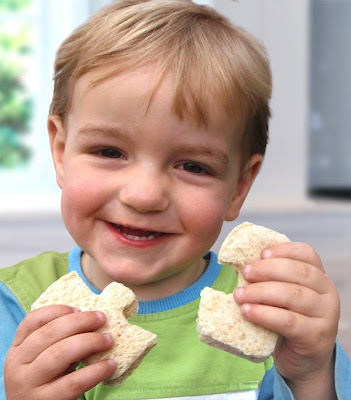 The other added benefit that I have found is that we can get rid of the crusts in one little punch so not only does it cut the sandwiches for us but it gets rid of the little extra bits that my daughter just won’t eat which is just wonderful. 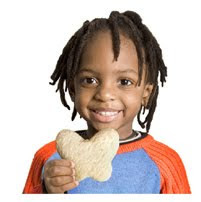 Once again, thank you so much, you have made an every day chore such as sandwich making a treat for all of us!" 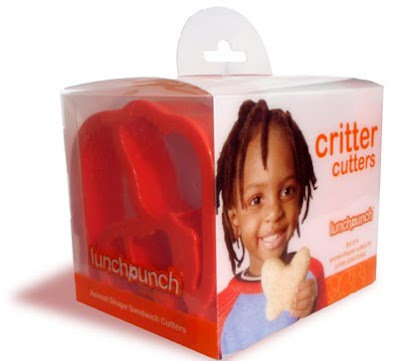 Visit Lunch Punch and tell us which you would like to win: Match & Munch or Critter Cutters. 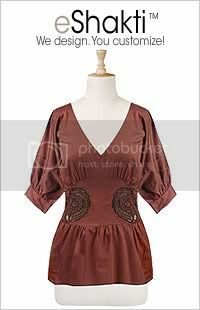 A winner will be randomly chosen, and the giveaway ends October 7, 2009. My son is really into puzzles, so I would have to go with the Match & Munch! They are both nice though. My students would just love both of these...I would like to win the Critter Cutters. They are both great though! These are so adorable...I'd like the Match & Munch set. wow what an awesome concept! i would love the match and munch set for my son! I think the Critter Cutters are very cute! I would like to win the match and munch! very cool. I'd pick the match and munch. I would love to win the Match and Munch! Such a neat idea...I would love to try these on my picky eater! 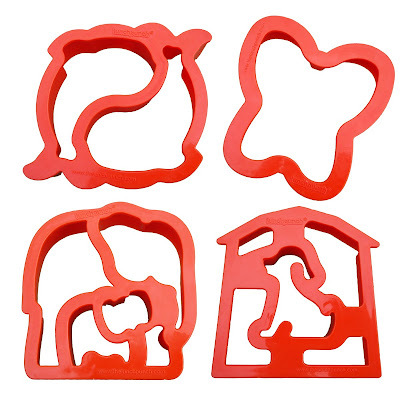 I always used cookie cutters for making the kids lunches and these are awesome!! I would like the Critter Cutters. I will have to come back to Lunch Punch to see what the VrrrM set will look like. I love the match and munch! i love the Critter Cutters. I follow you on google blogger. The Critter Cutters are adorable! We are definitly a puzzlu family so I would have to go with the match and munch. The Match and Munch is so cute! PS: I put up a giveaway roundup post on my blog where you can list your giveaway for all my readers to see! The Match & Munch would be my first choice, though it was not easy to decide. Both fabulous. My little boy loves puzzles. I'd go with the Match and Munch. So cute! I'd go with the Match and Munch. Follow your blog. Love the Match and Munch! Added your RSS- Match and Munch for us!! These are so cute!! Love the critter cutters. The dolphins, Martin and Teresa are really cute. I know my daughters would love them. I would love to have the Match & Munch! How cute. My niece would love these! I prefer the Match & Munch, but I think my daughter would like the Critter Cutters, so I'd have to choose those. I like the Match and Munch! I LOVE the Critter Cutters set! I really like the critter cutters! The match and munch are so cool! Touch decision but I think I'm going with critter cutters! My son would love the critter cutters! I would like to win match and munch. I'd love to win Match & Munch. The butterfly is cute but like the fish too. I follow in Twitter as annaed2. I love the match and munch!!! They are so cool!!!! I am a fan of Lunch Punch on facebook #2 in fact! The Critter Cutters are SO cute. I love this idea. It keeps lunch fun and different. Thanks for the chance. My kids would love the Match & Munch set. They are so neat! My sons would love the Match & Munch set. Thanks! Critter cutters ALL the way! My3 year old would love the Ephelant. 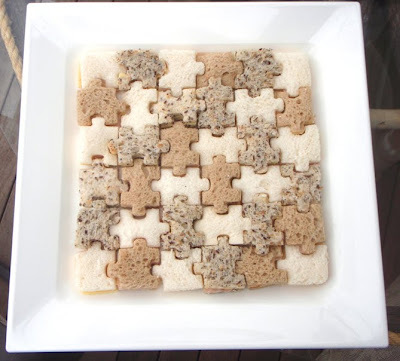 I love the match n munch - my boys like puzzles, and they love shaped food! Cute! My son is into puzzles lately, so I think he'd enjoy the Match and Munch set. Thanks! I would like the Critter Cutters for our house! CUTE! I would love the Critter Cutters! I would like Match & Munch. I really like the Critter Cutters. My grandchildren would love sandwiches made from the Critter Cutters. The Critter Cutters are great! It was hard to choose between the two though. With an autistic child I would love the puzzle set... She'd have a ball at lunch and late night snacks too!!! I think the Match and Munch sounds like fun! I found you on All Things Bloggy. 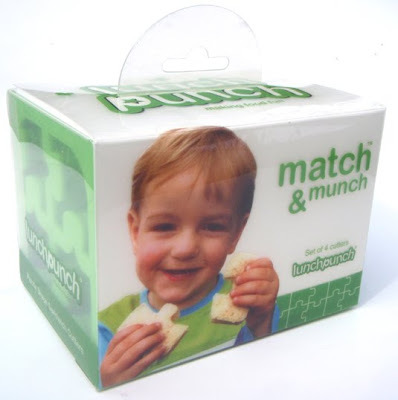 The Match & Munch set would make lunch fun! 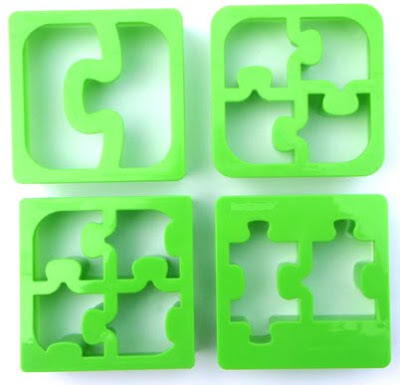 I like the Match & Munch set; my daughter's new favorite toy is puzzles. Thanks! I clicked over from my blog to get here. Definitely the Critter Cutters- fab idea, these would be nice in our bentos. Critter Cutters would be cool! I would like the Critter Cutters for my son. I love the Critter Cutters! I like the Critter Cutters! WE'd love the critter set. I would love to win Critter Cutter Set !!! Definitely the critter cutters - how cute! I'd love the Match & Munch. We've only had school for 6 weeks and already we are running out of ideas to help make lunch fun! I like the Critter Cutters. I get the RSS feed. I found you on Prizey. So Cute! Love the Match & Munch. Match & Munch.. I love that pic with all the puzzle sandwiches all together!